Visiting Machu Picchu was an amazing end to the 5 day hike. We woke up at 5am to get to the site before sunrise. The sunrise didn’t happen because it was overcast, but it was worth getting there early because there were far less tourists. 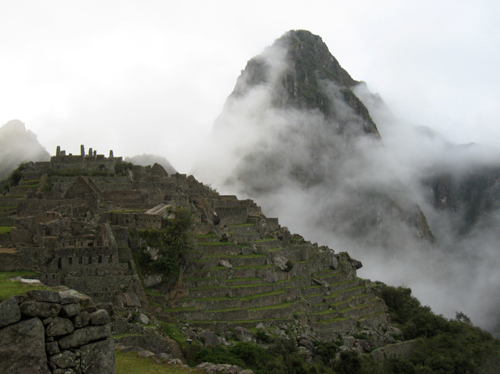 Machu Picchu is positioned in the middle of the “cloud forest” and you can see why it was called that. The fog surrounds the entire site helping to hide it from the outside world. The fog also makes the visit a little magical, as if you’re floating high up in the clouds. 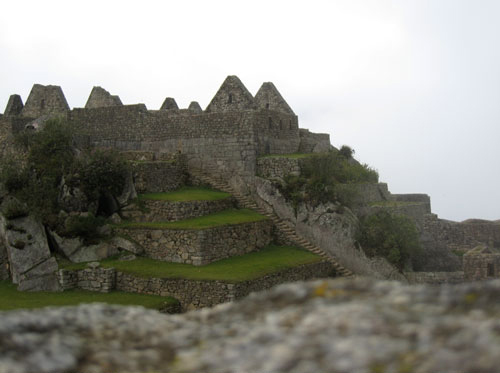 The tall mountain to the side of Machu Picchu is Waynapicchu which was the lookout point for the Inca guards. 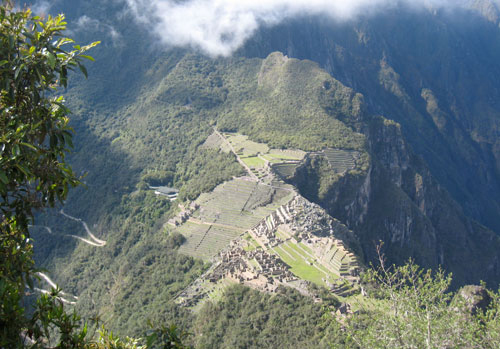 Tourists are still allowed the outback adventure and to climb Waynapicchu, (300 a day,) but just a warning it is no easy task. The way up is a mile of the steepest stairs you’ve ever climbed with nothing separating you from the edge of the mountain. The view from the top does make it worth the climb, BUT the climb down is even scarier especially at the top. I was pretty much scooting down the steps on my keester for about the first 10 staircases on the way down because I was semi-terrified. 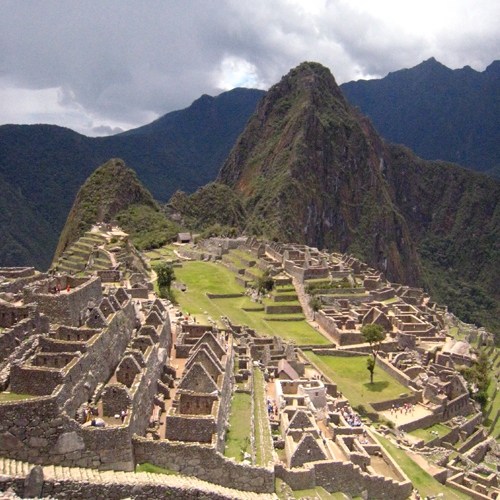 After climbing Waynapicchu we had a tour of Machu Picchu with our guide. 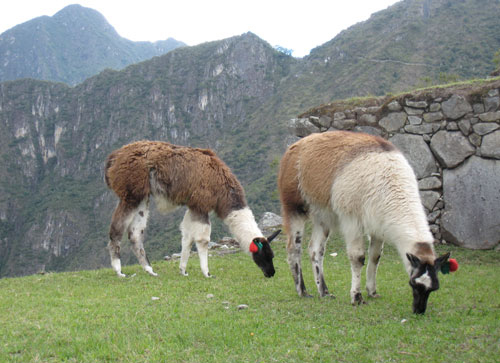 The history behind this Inca civilization is very fascinating. 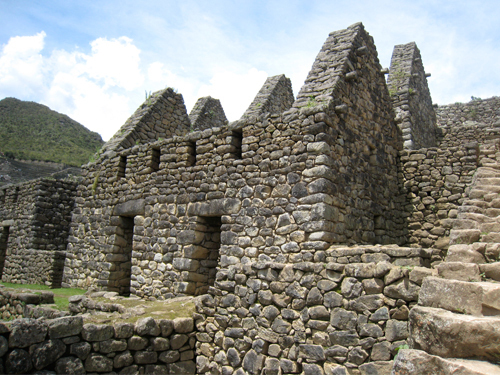 The craftsmanship of the structures is amazing, as well as, all the little details that made mountaintop civilization fully functional. I would definitely recommend seeing this wonder before you die. (But honestly don’t climb Waynapicchu unless you’re in tippy top shape.) Tomorrow will be my last Peru post and I’ll share some of my pictures taken with my Diana mini. This entry was posted on Thursday, November 11th, 2010 at 3:27 pm	and is filed under photography, Travel. You can follow any responses to this entry through the RSS 2.0 feed. You can leave a response, or trackback from your own site.